Tesla CEO Elon Musk is downplaying his GOP donations and defending his environmental bona fides after revelations he gave nearly $39,000 to Protect the House, a group seeking to maintain the party's imperiled House majority. Last year he publicly quit now-defunct White House business advisory councils after President Trump announced his intention to abandon the Paris climate agreement. To be sure: Musk, head of Tesla and SpaceX, has for years donated to Democratic and GOP candidates and groups. SpaceX's biggest customer is the government, between NASA and the Defense Department, so his donations to both parties are consistent with a need to maintain relations with those that control budgets for those agencies. One level deeper: Per the Washington Post and others, Protect the House is a joint project led by Vice President Mike Pence and House Majority Leader Kevin McCarthy. What happened last night: Following a burst of news reports about his donation, which surfaced in campaign finance documents, Musk made a few points on Twitter . . . He donates to Republicans "so that they are willing to listen when I call to object about issues that negatively affect humanity," he said in one exchange. Musk said his donations to Republicans are "about 0.5%" of what he gives to the Sierra Club, which he called a "reasonable amount to maintain an open dialogue," and also noted that "I have given vastly more to humanitarian causes." Musk also appeared to suggest that he's going to start paying more attention to his donations. "I do not actually see the checks (changed that policy today). A nominal annual amount goes out automatically to both parties to maintain dialogue," he said. Tesla declined comment last night. What they're saying: Some Democratic activists and others criticized Musk's donation. For instance, Ryan Knight of the group Build the Wave, which is seeking to elect Democrats, said via Twitter that "Elon Musk has been masquerading as a socially liberal and innovative billionaire who cares about the environment." But the Sierra Club sought to counter the attacks on Musk, telling its 328,000 Twitter followers late Saturday night that there have "got to be better topics of debate" than whether Musk is committed to action on climate change. "He has dedicated his career to the mission of replacing fossil fuels with clean energy & has strongly backed the Sierra Club's advocacy work," the group tweeted. 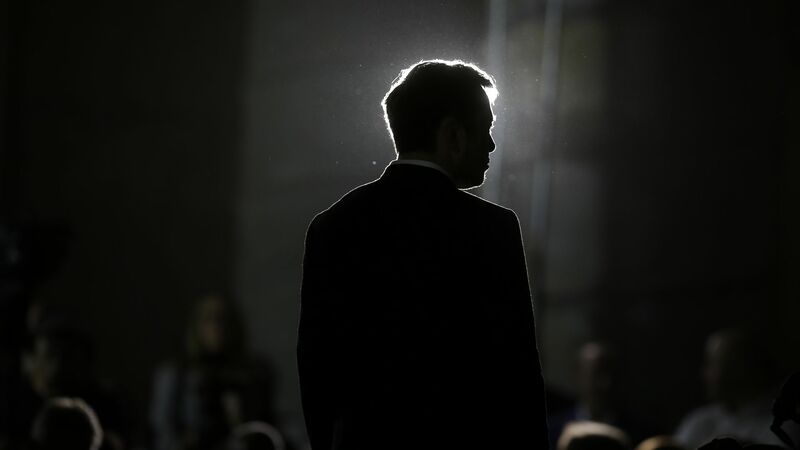 The big picture: The flap over his donation is the latest of several recent controversies around Musk, who in May had a combative call with financial analysts and has publicly attacked the press. Tesla is under the microscope as he seeks to show that he can sustainably boost production of the Model 3 — a car crucial to Tesla's future — after reaching the long-sought goal of producing 5,000-per-week at the end of June.